Fat burning foods are the staples of your diet that keep you in the fat burning zone to lose weight. Eaten on a consistent basis, they go a long way in determining what your body looks like and how you feel. More than exercise, more than supplements, nothing else dictates weight loss more than your diet. As such, Eugene, our partner-in-crime, shows us that there are plenty of tasty choices of fat burning foods for you to eat when you’re dieting. He’s put together a comprehensive list of the 75 best foods to keep you in the fat-burning zone for our Dirty Little Book of Dieting. In case you don’t yet have the Dirty Little Book, I’ve taken 5 of those fat burning foods and expounded a bit on why I make them a backbone of my diet, and you should too. Many people don’t think of beef as a fat burning food, however it can be a very effective tool in the burning off extra pounds. 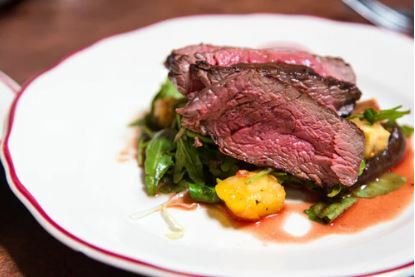 Beef is high in protein, which provides the amino acids necessary to maintain and sculpt lean muscle which is key to raising your metabolic rate– without doing endless hours of cardio. The more lean muscle you have, the more calories you burn. Don’t worry; when I speak about muscle, I’m not talking about getting huge like a bodybuilder. I’m talking about the lean muscle that pulls everything in tight and makes you look great in a dress. Beef also provides a moderate amount of dietary fat. (I hear the collective “yikes!”) “But isn’t dietary fat unhealthy and high in calories?” What you think might be a negative is actually very positive- for your health, and fighting fat. It seems that the medical and fitness “authorities” are finally waking up to the realization that fat is not to be feared. Not only are certain dietary fats, like those found in beef, healthy in moderation; the fats also provide a feeling of fullness. When you’re not feeling hungry, you’ll have less compulsion to eat junk foods. Another benefit here is that the body takes a while to fully digest beef, which adds another dimension to its craving crushing properties. Because of cottage cheese’s high casein content (a slowly digested form of protein), cottage cheese is another junk food craving killer. Cottage cheese is great for times when you’re busy and you know you’ll have quite a few hours to go before the next meal. I like to sprinkle in some crushed flax seeds for some fiber and omega-3’s. Many people tend to crave sweets before bed. Topped with a small serving of fresh berries, cottage cheese can appease your sweet tooth and provide ample amino acids for a good night’s sleep. Go ahead and throw some blueberries on the cottage cheese above! Blueberries are a delicious, power- packed “SuperFood”. 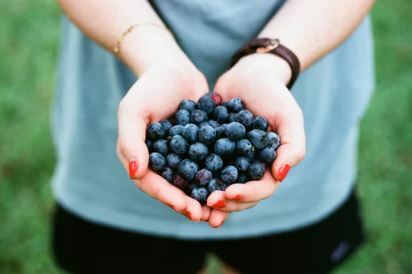 Fresh or Frozen, blueberries provide a whopping dose of antioxidants, which may play a role in preventing certain types of cancer and other degenerative diseases. So how do they help burn fat? Well, blueberries contain a high ratio of fiber, which satiates you without an abundance of sugar or calories. The sweetness of the blueberries can crush cravings for sweets. For a night time snack, once in a while, I’ll blend up some frozen blueberries, which actually turns them into a sort of dry sorbet. 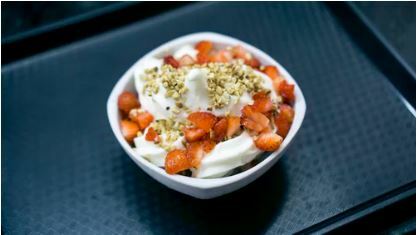 Mix in a tablespoon or two of heavy cream to provide an ice- cream like mouth feel, and you’re in dessert heaven with a quarter of the calories. Another great benefit of blueberries is derived from their antioxidant content. As you know if you’ve read Eugene’s article “Eat More berries, Lose More Fat”, free radicals are produced rampantly in the body in response to exercise. Free radicals cause muscle fiber damage, along with accelerated again and can contribute to cancer. As weight training and cardio exercise is of utmost importance if you are to get the most out of your diet, you’ll likely be cranking out quite a number of these free radicals. Eating your blueberries will provide the antioxidants which quench the free radicals, which in turn reduces soreness from the exercise. Another “Super- Food” often overlooked in fat loss. Broccoli is fat burning fibrous vegetable, packing a solid satiating punch any time of the day. 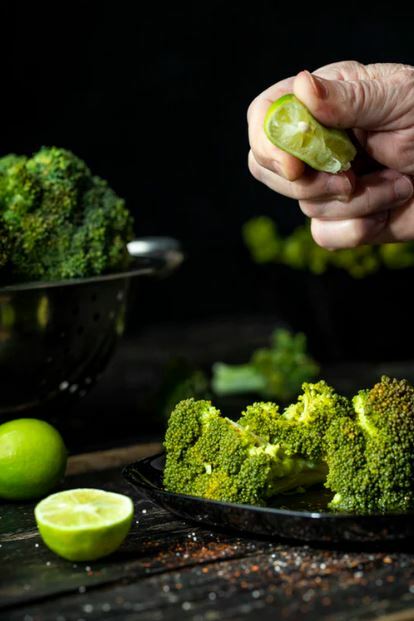 Broccoli is a wonder food in that it contains high amounts of antioxidants, much like blueberries, but contains so little calories that it’s considered a negative calorie food. Negative Calorie foods are considered “negative calorie” because the digestion process takes more energy than they are actually providing the body. The reason I like broccoli during dieting for fat loss is that it can fill the gaps. By “fill the gaps” I mean those times of the day when you get a bit hungry from low blood sugar, or simply have the urge to snack on something. Broccoli comes through in the pinch, without loading up on calories. Try dipping some fresh stalks into calorie free dip for a nice high fiber, high antioxidant guilt- free snack. Salmon is naturally one of the most popular “weight loss foods” around for a good reason, according to studies. It provides ample EPA and DHA- the Omega-3 oils, a hefty dose a metabolism- boosting protein, and a nice dose of natural vitamins and minerals. Omega-3’s have been shown to also boost metabolic rate, resulting in faster weight loss. Along with that, its anti- inflammatory powers offset much of the bodily soreness and metal fatigue that occur when dieting and working out intensely. They are also very helpful for those who choose low carbohydrate diets. 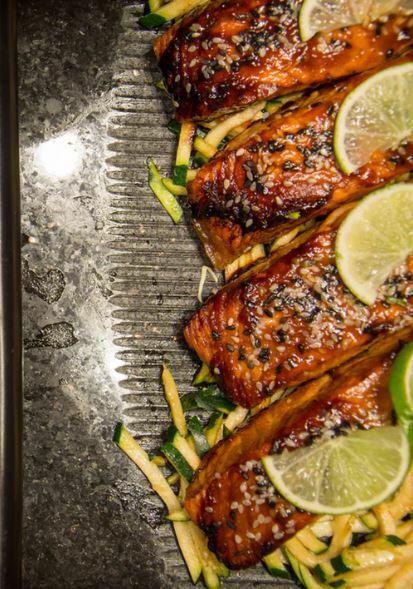 Salmon, like the other power- packed super weight loss foods above also provides a feeling of fullness and content without breaking the calorie bank. Salmon makes a great solid meal for lunch or dinner (or if you’re really adventurous, I know some people who it eat for breakfast!). Protein is the base of any good diet and salmon packs it in. The Thermic Effect of protein (TEF) is also higher than carbs or fat, meaning the digestion process of protein leads to more calories burnt. If you’re interested in getting these foods delivered straight to your door, we recommend Amazon Fresh. It takes the excuse out of heading to the store, and it’s often cheaper.